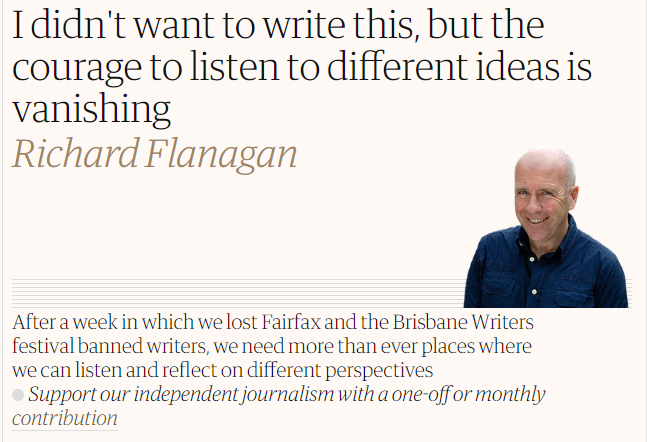 So, in general I think Flanagan has a point, and I think we have to engage with the point he is making. Over the past years I have really noticed a growing trend within identity politics in particular, and progressive politics in general, to shut down debate and ideas that do not fit the idealised norm. Now, I’m not talking about people trying to shut down the far right or outright racists or sexists or homophobes. I’m not that concerned about that, at least not in this thread. What I am talking about instead is moves to shut down anything that don’t fit the Identity politics mantra of the day. Identity politics has increasingly become a purity test – you have to know the ‘right’ terminology, and be on top of the ‘right’ ideas, otherwise you are quickly ‘cancelled’. I went to a queer conference a few years ago where an amazing trans women gave an incredible talk about the interaction between capitalism and some forms of trans politics. It blew my mind. But the whole talk was dragged down after someone complained that this woman had critiqued a black woman in her talk, with the whole discussion suddenly centering around whether the presenter was a racist or not. Now, the presenter didn’t critique this woman because she was black, she critiqued her as a capitalist who was exploiting trans people. It was an excellent analysis. But the mere criticism shut the entire discussion down. 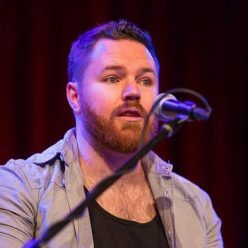 I was once in a queer Facebook group centred around activism to defend the Safe Schools Program. The group descended almost daily into infighting because someone use the wrong term here or there and everyone jumped on them. At one point in this group a new, energetic member, came in with an idea, and was told, politely that they had used an ‘incorrect’ term in regards to trans people. Fair enough. This person then posted that they would leave the group because they ‘didn’t know enough’ and were concerned that they would harm people by staying. And this was celebrated by the rest. How is this a space that fosters learning, development, or new ideas? Even the language of IDPOL groups highlights how quick they frequently are to shut down debate. Safe spaces, once designed to literally keep people safe from violence, are now really more a place, particularly online, to hide from any ideas that make people uncomfortable. And while I can understand this, it is not a great way to do politics. Trigger warnings, again initially designed to protect people from potential harm, are now heading down the path where student organisations are advocating for the banning of books from course syllabus because they are too harmful. How did we get to this point? Look at the term ‘self crit’. For those who don’t know, this is what people are often told to do when the breach the rules of identity politics in an online group – they have to do some self-criticism. But what does this say? Self crit says that there is somehow some ‘right’ way of doing politics, and if you are doing it ‘wrong’ you need to go and ‘educate’ yourself until you can do it better. It defines a ‘right politics’, automatically shutting out anything that is different in these spaces. Even the idea that people should only speak within their experience, or should ‘stay in their lane’, shuts down both our capacity to engage in broader structural critiques, but also removes any potential for us to build bonds of solidarity, empathy and community with each other. Let me be clear here: I am not talking about shutting down high profile speakers. This is happening every day to activists of all genders, all races, all classes. It is becoming pervasive within identity politics. This is the problem I have with Flanagan’s article. I feel he has really targeted the wrong people and the wrong area. First, while I think what happened to Greer, Carr, Shriver and Diaz are disturbing, it’s not like these are people struggling for attention. We’re not talking about downtrodden folks who never have their voice heard. But more importantly, the idea that writer’s festivals are somehow some bastion of great debate from a diverse range of views is just simply ridiculous. I’ve been a lot of writers’ festivals and I love going to them, but as Flanagan noted, these are places designed so people can sell their books, not as places of great democratic debate of dangerous ideas. Just have a look at the Canberra’s Writers Festival, which announced its line up a few weeks ago. Their headline act is Barnaby Joyce! This is not some unsung hero who brings some dangerous and unique idea to the table. This is a disgraced politician who will bring ratings and nothing more. And so, just as many have pointed out, it’s not like we once lived in a society that valued genuine and dangerous debate and this has somehow been lost. It’s just that often the targets of the shutting down of debate are now people who were once in power, and that makes people uncomfortable. But that does not mean it is okay, either. What ever happened to the educative potential of the struggle? One of the points of a political struggle, whether around identity or class or something else, is to learn and develop, and to do so as a collective. We have to be able to have real internal political debates, and we have to learn and develop from them. We also have to want to strive to build connections and solidarity with each other. We want to understand the structures of oppression, and how those structures impact us all. But the current discourse within progressive, and particularly within identity politics circles, does not allow for this. You have to ‘learn’ the right terminology, get on board, ‘stay in your lane’, or get out. And if you breach the rules there will be a pile on, which will be difficult, or near impossible to escape. This does not to me create a politics that is going to create change. It is instead just moral posturing that can make us feel good, but little else. So in summary: Flanagan has a point, but the point does not really relate as strongly to writer’s festivals as I think he makes out. But this, does not mean we should ignore the point entirely.